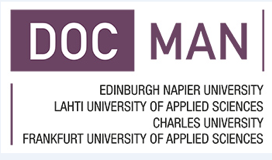 DOCMAN was designed by four European Universities to help improve the education provision and development of competency for health and social care managers. Health and social care is facing unprecedented challenges in many EU countries. Most European governments have cut or frozen welfare spending as the costs of healthcare continue to rise. Populations are aging often due to advances in healthcare which are often costly, however spending the most does not always guarantee the best outcomes. Demands to deliver a high quality, cost effective service have never been higher and innovation and shared learning is one the key mechanisms to deliver this. Models of care, integration of health and social care services and cost sharing are some of the key areas that European wide collaborative learning could be of great benefit. However the focus of many current programmes for this have an inward focus – on areas such as human resource management, quality and clinical governance. While there is clearly an importance to educate around these, needs have changed and the benefits and requirements to look outward to different and new innovative practices, needs to be developed. These first two stages will then help form the basis of three new Masters degree level modules and learning materials for health and social care managers. These modules will focus on the skills and knowledge needed to address some of the emerging challenges such as integration, designing new services and leading innovation and change. These modules will be piloted with Masters students from the partner universities and after this learning materials will be revised and made publicly available. © Copyright 2019 DOCMAN. Rara Academic by Rara Theme. Powered by WordPress.